I remember my first visit to Rawhide Western Town back in the mid 1980s. I was a little kid, and we drove up there with my grandparents for the evening. It was a magical experience as a kid. 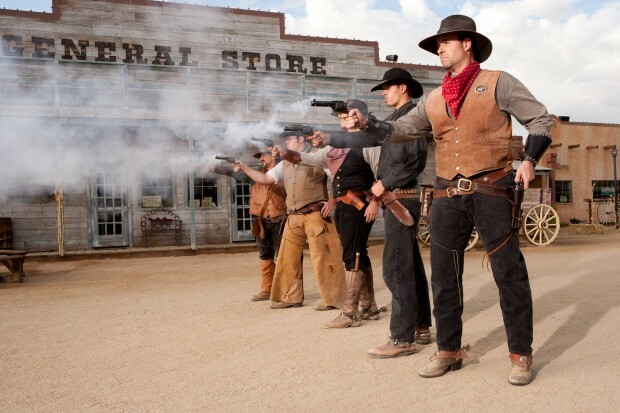 Seeing the cowboys have their gun fights right in the street. The real cowboy town with a sheriff’s office, and real horses and carriages. We would also often eat dinner at the steakhouse at Rawhide. While it certainly wasn’t the best steak in town, it came with the experience of a western saloon. What good memories. In those days, Rawhide was located in the far north of Scottsdale, AZ. After about 50 years in that location, they sold the land and moved to Awatukee, AZ, which is about 20 miles southeast of downtown Phoenix. Rawhide is an exceptional place to take friends who are visiting. I recall about 5 years ago my parents took my fiancee and myself to Raw Hide. It was our first time checking out the new location in Awhatukee. My dad secretly ran off to the “sheriff’s office” and paid the $15 to have a “wedding” ceremony. More like a shotgun wedding. The sheriff and his posse rounded us up, and we were brought to the sheriffs office, and “married” on the spot. The sheriff’s office does that all year long, and you can pay for photos and other funny requests. 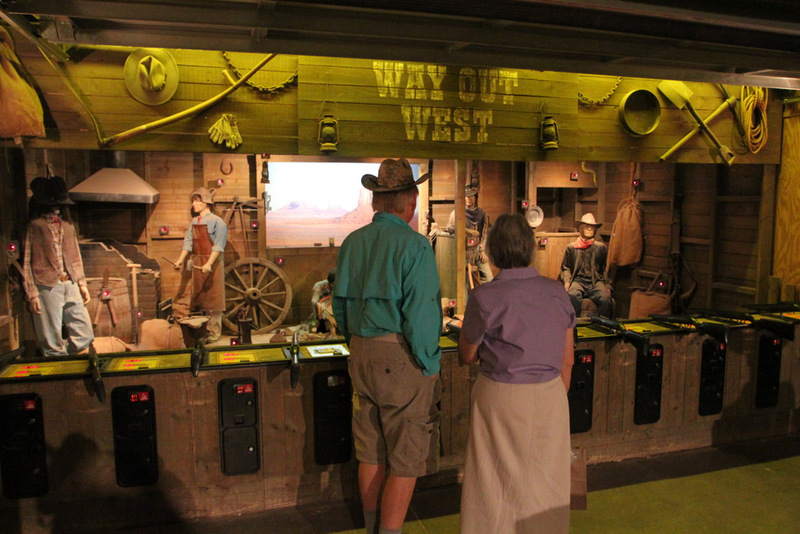 Rawhide has fun activities for all ages: From hay rides, to gun fights and shows, to gold panning, and animals. They have a bit of something for everyone. And they still have a steakhouse, where you can go and get a nice steak. Admission to Rawhide is free, and parking is free. There are some special events where it isn’t free, but almost all of the time it is free. They have gold panning, and other special things that cost money. Rawhide is occasionally also used as a venue for events. They hosted the 2015 Baconfest. 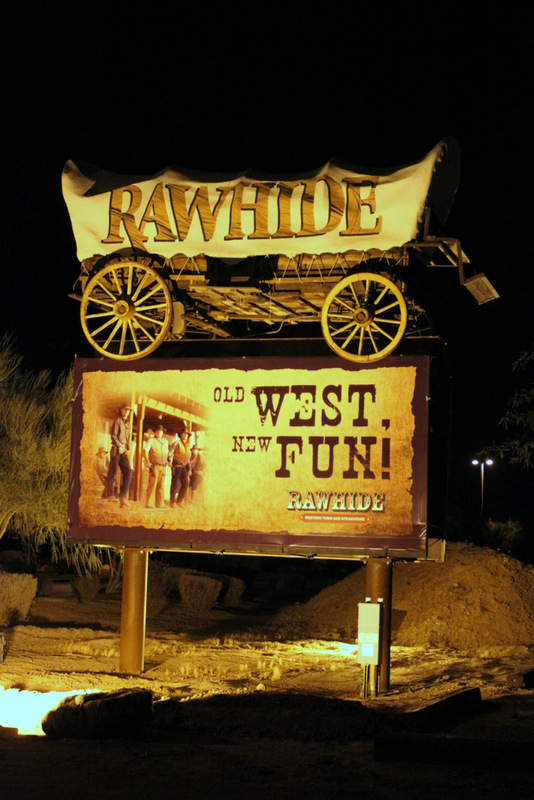 So, if you’re looking for a fun activity suitable for the whole family, check out Rawhide. It’s a western town that’s a bit touristy however it’s loads of fun. They’re open late in the evenings, as well, which is popular during the summer. Rawhide is located in Chandler, AZ. More information is available at rawhide.com.